Alright, Pixar fans! 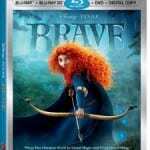 Pixar has officially announced the home media release date for its summer hit Brave—along with lots of other goodies that will be included on the discs. 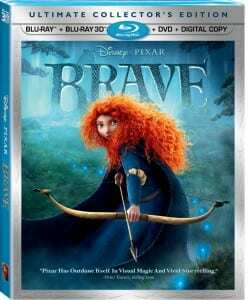 The film will be released in three different collections: a 5-disc Ultimate Collector’s Edition (includes 1 Blu-ray 3D disc, 2 Blu-Ray Discs, 1 DVD, and 1 digital copy), 3-disc Collector’s Edition Blu-ray Combo Pack (includes 2 Blu-ray discs and 1 DVD), and a 1-disc DVD edition. These collections hit stores November 13, 2012. The collections will feature a lot of behind-the-scene and special footage: most notably a new short called The Legend of Mor’du, which will be narrated by the witch! There’s way too many features to summarize, so check out the list of features from Disney’s press release below. Which feature are you most excited to see? Which collection will you be buying?